To kick off the New Year, we’re running a series showcasing the skincare products top health and beauty experts are buying at Sephora. Each week, we’re sending one of our favorite gurus to their local store to document their entire shopping spree on Byrdie’s Snapchat. Make sure to tune in each Saturday to follow along, and check back here weekly to see (and shop!) the items that made it into their Sephora carts. Enjoy! There’s no place like Sephora. After all, a visit is never just a visit… A simple outing often turns into a long excursion filled with hope, happiness, and surprise—surprise at the bounty of innovative skincare offerings, that is. And that’s a beautiful thing: While many of us have our tried-and-trusted regimens we rely on, sometimes a product change-up is in order in the name of healthier-looking skin. Fitness instructor and wellness expert Alexis Novak agrees, which is why we turned to her for our first installment of our new skincare series. Last Saturday, she took to her local Beverly Hills store and brought us along for the ride. Missed our Snapchat story last week, or just in need of a product upgrade? Keep scrolling to hear all about Novak’s Sephora trip and see the top two picks that made it into her shopping bag. While she primarily gets in her savasanas in Southern California, Novak has traveled the world to lead yoga retreats. She’s even made an appearance in the Byrdie studio, where she showed us the best yoga poses for falling asleep faster. But her passion for wellness extends beyond the mat. She believes in total body wellness from the inside out, from muscles to mind to skincare. After all, your skin is your largest organ, so it deserves plenty of TLC. “I’m particular about the skin products I choose to buy,” Novak explains. “As a private and group yoga instructor, I’m constantly sweating and putting my skin through it all, so I’m always looking for products that are supple, hydrating, and won’t irritate my dry, eczema-ridden skin.” As Novak explains it, eczema is a skin condition where your skin is hyper-dry, and spending lots of time in hot yoga studios and getting dehydrated doesn’t help the situation. Her top advice when it comes to shopping for moisturizers, cleansers, and more? Avoid quick fixes, and instead seek out products that offer lasting skin benefits—which is exactly what she searched the shelves for last Saturday. After inspecting aisles and aisles of impressive (and Instagrammable) skincare products, Novak landed on this pick from Drunk Elephant. “I rarely find a face moisturizer that has everything I need in it, but this one surprisingly does,” explains Novak. “It’s free of parabens, sulfates, odors, and phthalates, which means it’s going to be super sweet to my sensitive skin!” One swatch on the cheek and she was sold. 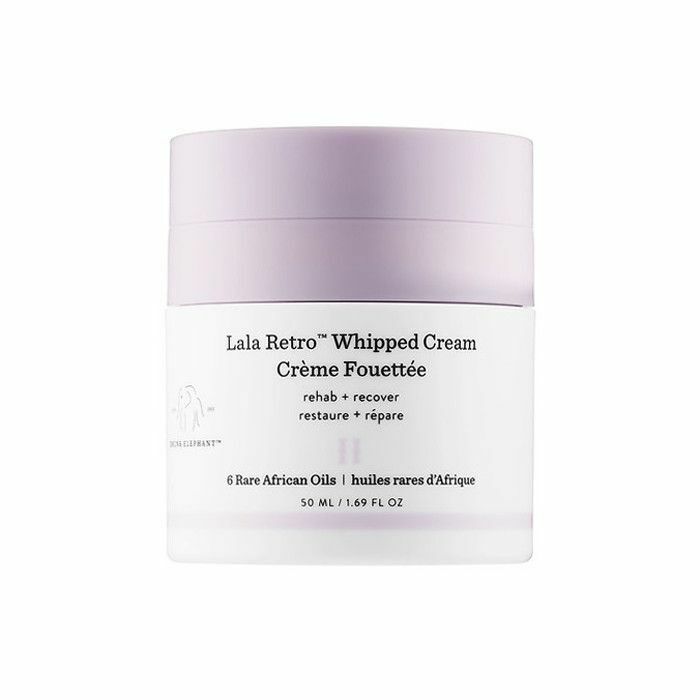 This must-have cream delivers intense hydration and visibly firms and brightens skin using a blend of six African oils and plantain extract. Its formula is thick and luxurious, but it won’t leave your skin greasy. 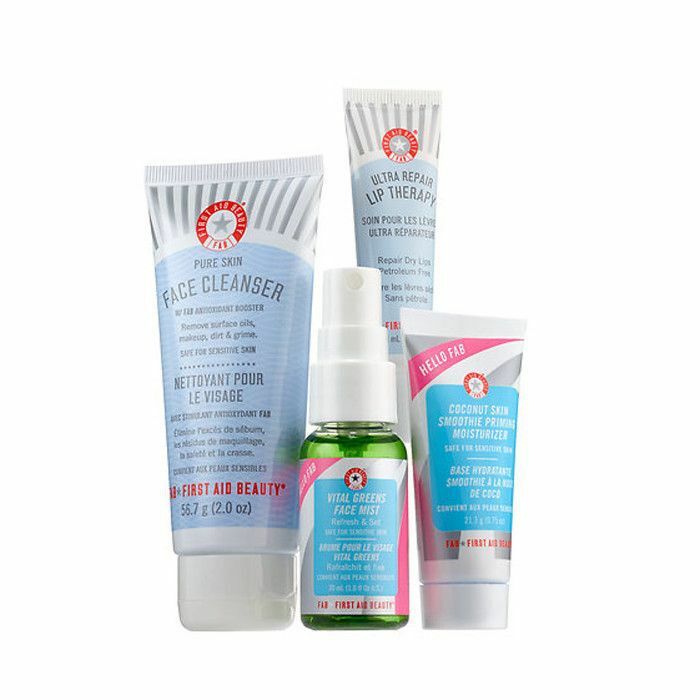 The assortment includes a cleanser, a lip treatment, facial mist, and a moisturizer. One item Novak is excited about is the Vital Greens Face Mist, which she actually found in full-size form before discovering it was part of this kit. “I’ve always wanted a facial spray to spritz post–sweat sesh, and this cooling, superfood-filled one is perfect for that,” she shared. Other standout ingredients featured in the lineup of products include colloidal oatmeal (known for its ability to soothe the skin) and coconut water (which revitalizes and hydrates skin with electrolytes and amino acids). 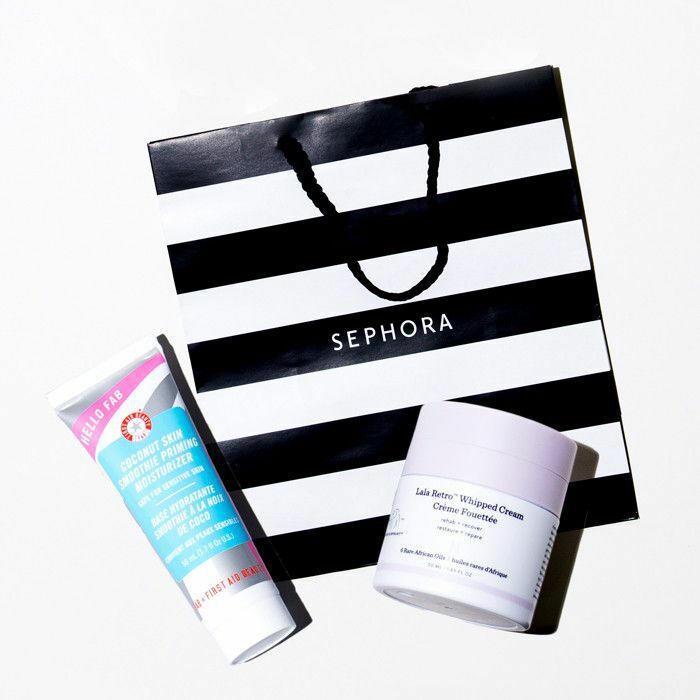 After playing around with the products and checking out Sephora’s skincare IQ screen (you tell it about your skin, and it tells you what your skin needs), Novak decided it was time to put an end to all the shopping temptation and head to the register with her picks. After all, she had an 11 a.m. class to get to. What skincare products do you swear by after a workout? Tell us below. And don’t forget to tune in this Saturday to @byrdiebeauty on Snapchat to watch another health and fitness pro take us along on her Sephora shopping spree!